Education is critical to economic and social development and has an impact on individual’s future income. Education affects not only the potential ability of the individual to increase his or her future income, but can be considered as a source of socio-economic development of the region. This paper presents the results of the evaluation of the education contribution to the socio-economic development of Russian regions. The study was conducted both for the Russian Federation as a whole and for the Federal districts and regions of Russia. We have developed the methodology for calculating the potential contribution of education to the socio-economic development of Russian regions. We assumed that when graduates enter the labour market they contribute to the economic growth and the social activity. From 2005 to 2016, the authors have analysed contribution of the following types of education: secondary general education, basic vocational education, secondary vocational education and higher education. Furthermore, we have considered the contribution of higher education to the socio-economic development of the regions of Russia across types of targeted training and specializations to select a sample of ten territorial subjects of the Russian Federation. We came to the conclusion that the higher education is the main contributor to the socio-economic development of the subjects of the Russian Federation. The potential contribution of the general education system to the socioeconomic development of the subjects of the Russian Federation is due to the fact that it prepares pupils for the following education levels, but not for their entry to the labour market. 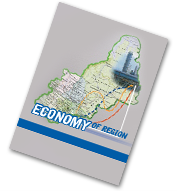 The results of the research can be used to conduct a regular assessment of the impact of region’s education system to its social and economic development, as well as to optimize the regional structure of secondary and higher education.